It seems like it has been so hard to get any cooking accomplished the last two weeks. Adding a flock of chickens to our lives has definitely been an adjustment. Hmmm . . . . Does a dozen chickens make a flock? Not sure, but in my book it does! Add to the chickens, the fact that truckin' man has been having mechanical issues. I had to take off at midnight one night last week to go pick him up. I spent an hour drivin' to get to the repair shop he was going to, only to have him not be there. Checked all the local truck stops.... not there either... and believe me, even though this isn't exactly a high population area, trolling around the truck stops at 2 a.m. was NOT my favorite thing to be doin'! Super long story short, I gave up and headed for home. Please note that during all this, I am ringing his phone every five to ten minutes. Well, his phone finally decided to start working about 2:30 a.m., once I was about 5 miles from home. Since I hadn't called him, he parked at an empty lot while he was waiting for me. I think it is finally time to quit talking about getting him a new phone and just do it!!! I was then late for work the next morning, and still had to get our youngest Hazel in, to get her spayed. Yikes, was I beat! I really wanted to try the Slow Roasted Oven method in the recipe, but by the time I got my act together, I didn't have enough time. So, I pulled out my Baby George Rotisserie. 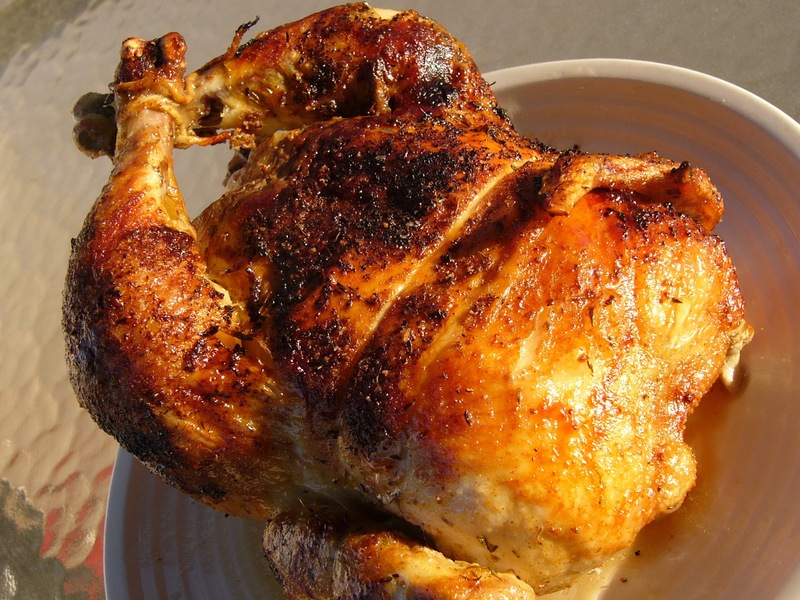 Rubbed down my chicken with this amazing Chicken Scratch Recipe. Set the timer for 90 minutes, and done! YUM! I can't wait to use this seasoning blend again! Mix all ingredients together, and store in an airtight container. Holy CRAP girl! I was stalking Pinterest and saw this and immediately clicked on it because it looks DIVINE! Well, lo and behold, it's you! CONGRATS!!! It looks wonderful!!! Glad you liked the scratch!